← Sonic Dealerships Lose Class Action Insurance Coverage Dispute with Chrysler Insurance: Statutory Errors or Omissions Coverage did not apply to Dealers’ Failure to Disclose Price of Etch in Retail Installment Sales Contracts. 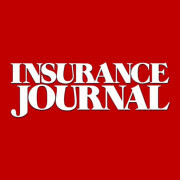 In 2013, Insurance Services Office (ISO) rolled out its new Auto Dealers Coverage Form (ADCF) Policy. The ADCF Policy replaces the Garage Liability (GL) Policy which had been available for decades. One of the most major differences between the GL Policy and the new ADCF Policy is the addition of “Acts, Errors or Omissions” coverage in Section III of the ADCF Policy. This optional liability coverage is primarily designed to protect the auto dealer against claims resulting from the dealer’s violation of certain specifically described consumer protection laws. Prior to the ADCF, most auto dealer insurers provided a similar type of “statutory errors and omissions” coverage which provided protection against suits for, among other things, violations of an “auto damage disclosure statute”. However, the “Acts, Errors or Omissions” coverage of the ADCF Policy omits coverage for this potential liability. Auto dealer insurers who wish to offer this coverage in connection with the ADCF Policy would need to write their own manuscript endorsements to insure the risk. Historically, policies have not specifically defined what constitutes an “auto damage disclosure statute”. However, in the automobile dealership industry it will include a statute which affirmatively requires a dealership to disclose vehicle damage to the buyer (typically in writing) prior to the sale of the vehicle to the buyer. The purpose of an auto damage disclosure statute is to ensure that vehicle condition information is provided to consumers so the consumer can make an informed purchasing decision. Many states require disclosure of vehicle damage if the damage exceeds a certain percentage of the vehicle’s value. Generally, the damage percentage is quite low in the case of new vehicles and considerably higher in the case of used cars. See e.g., Minn. Stat. § 325F.664 subd. 2(a) (seller required to disclose damage exceeding four percent of the retail price of a new vehicle) and Minn. Stat. § 325F.6641 subd. 1(a) (seller required to disclose damage exceeding 70 percent of vehicle’s actual cash value immediately prior to sustaining damage). Georgia Code Ann. § 40-1-5(b) provides another example, by requiring that “prior to the sale of a new motor vehicle, a dealer must disclose to the buyer any damage which has occurred to the vehicle of which the dealer has actual knowledge and which costs more than 5 percent of the manufacturer’s suggested retail price to repair.” Other states have enacted statutes which require disclosure of prior damage, but do not specify any percentage above which prior damage must be disclosed to the purchaser. In Colorado, for example, the statutes and regulations require disclosure when the prior damage was “material.” Because “material” is a vague term, the Colorado Auto Dealers Association advises dealerships to disclose all prior damage of which the dealership has knowledge. In U.S. Fid. & Guar. Co. v. Dealers Leasing, Inc., 137 F. Supp. 2d 1257, 1260-63 (D. Kan. 2001), the court addressed these issues in the context of a commercial general liability policy which provided coverage for “bodily injury” or “property damage” caused by an “occurrence.” An occurrence was defined as “an accident including continuous or repeated exposure to substantially the same general harmful conditions.” The plaintiff in the underlying litigation alleged that Dealers Leasing was negligent by failing to discover safety defects in the minivan plaintiff purchased, failing to disclose the history of the minivan and failing to conduct a safety inspection. The plaintiff also alleged that Dealers Leasing’s conduct “constituted negligent misrepresentation” because it failed “to exercise reasonable care or competence in obtaining or communicating the information, including but not limited to misrepresentations about the identity and mileage of the minivan.” The court agreed with USF&G’s position that the policy did not afford coverage. First, the court held that the dealership’s alleged negligence and negligent misrepresentation did not cause the damages at issue – the complaint asserted that the minivan was in poor condition because it was involved in an accident and was negligently reconstructed. Second, the court held that any damage caused by the dealership’s alleged negligence or misrepresentations was not to “property damage” or “personal injury” as required by the policy. Rather, the damages were economic – the dealerships allegedly wrongful conduct caused the plaintiff to pay more for the minivan than it was worth and were not covered by the Dealer Leasing policy. However, in AutoMax Hyundai South LLC v. Zurich American Ins. Co., 720 F.3rd 798 (10th Cir. 2013), the court held that the dealership’s failure to detect prior damage in a vehicle could constitute an “accident” (and thus an “occurrence”) at least where the where the dealership believed the vehicle was in perfect condition and the dealership neither expected nor intended to cause injury to its customers when it sold the vehicle. In addition, the customers in AutoMax Hyundai alleged that the sale resulted in emotional distress, a covered “injury” under the Zurich policy. Thus, the facts of the case suggested the possibility that the customers had suffered an injury resulting from a covered accident and Zurich was obligated to defend. Note that in Dealers Leasing, Inc., 137 F. Supp. 2d 1257 (D. Kan. 2001), the plaintiff also alleged loss of use and emotional distress. These allegations were insufficient to establish coverage: “[w]hile the plaintiff would not have suffered the alleged loss of use and emotional injuries had she not purchased the minivan, these damages were caused by the condition of the minivan.” Further, the dealership’s counsel acknowledged that the “mental pain, anguish, emotional distress, embarrassment, humiliation, and inconvenience” were caused by the poor condition of the minivan, not by plaintiff’s purchase of the vehicle. Likewise, the alleged loss of use of the minivan was caused by its poor condition and need for constant repair. This entry was posted in ADCF Policy, Auto Dealer, CGL, Coverage, Errors & Omissions and tagged Acts Errors and Omissions Coverage, Auto Dealers Coverage, Auto Dealers Operations, Auto Dealerships, Commercial Liability Coverage. Bookmark the permalink.